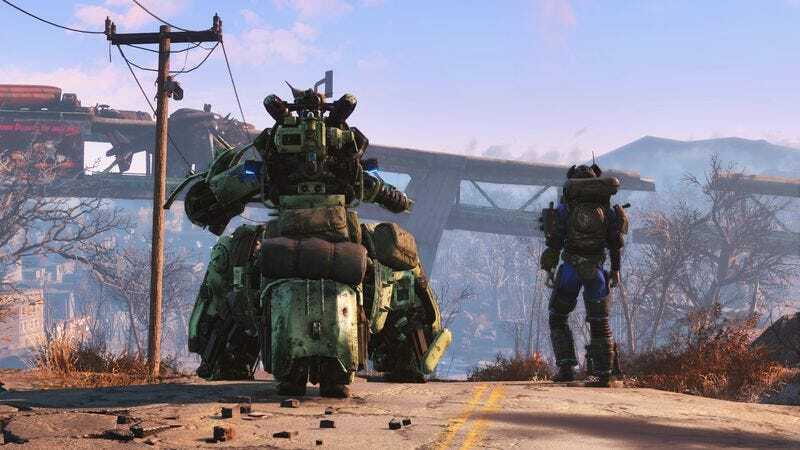 Fallout 4 has come and—for the free-time rich among us—gone, which means it’s time for Bethesda to start rolling out all kinds of new stuff to bring wayward wanderers back to The Commonwealth. Today, the game’s creators announced the first three add-ons for their popular post-apocalyptic litter-collection simulator. They will be released over the next three months, starting with Automatron in March. Packing a $10 price tag, this add-on will fill your game with even more robots and give players the chance to build their own mechanical companions. April’s offering, the $5 Wasteland Workshop, is even lighter. It comes with some new stuff you can build for your makeshift towns and the ability to trap wild animals and have them fight for your amusement. According to the announcement, there will be more downloadable content later in the year—bringing the total price to “more than $60,” to use Bethesda’s phrasing. That’s significantly more than the $30 Bethesda was charging for its season pass bundle, which guarantees owners access to all future add-ons, so effective March 1, the price of the season pass will increase to $50. If you’ve already bought it or you grab it before the price hike, you’ll still get the initial add-on trio, which costs $40 on its own, and whatever else Bethesda has in store.